Now, with recent important innovations from companies like Google, Tesla and Ford, driverless car expert Tim Chapin, interim dean of the College of Social Science and Public Policy and professor of urban and regional planning at Florida State University, believes that it may finally be time to start taking this technology seriously. "Everything that I've heard from within the industry suggests we're not too far away," Chapin said. "I expect that over the next 20 years, a significant portion of cars on the road will begin to employ driverless technology." 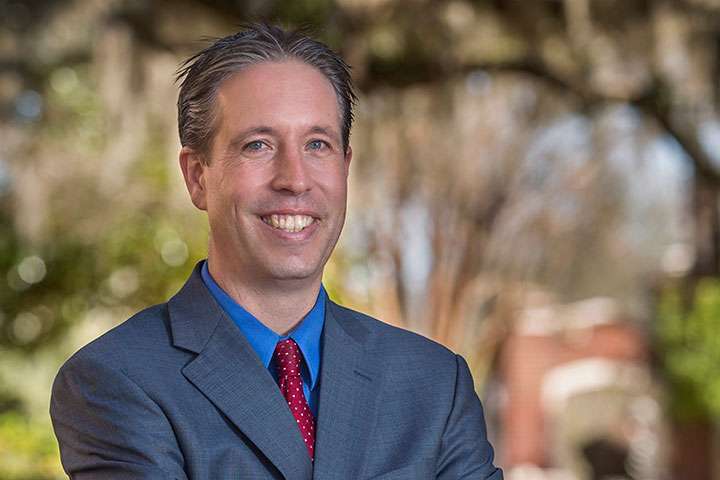 Chapin, whose current research interests revolve around how Florida's demographic trends influence urban patterns and transportation systems in the state, believes that forward-thinking tech companies will be agents for dramatic change in an industry that, for decades, has been largely defined by slow and iterative progress. "The real innovation in driverless technology resides in the tech companies," Chapin said. "We've had the same basic automotive technology for a century—four wheels, a steering wheel, breaks and an engine—and cars of the future will have that same set of functions. The progress is on the software and remote sensing side, which makes sure we can operate the vehicle safely." It's when large automotive firms begin to take notice of these software developments, Chapin said, that significant developments occur. "The big tech companies like Google, Apple and Microsoft are drivers of autonomous technology development," Chapin said. "Increasingly, auto companies like Ford, Chevy and Tesla are partnering with these tech firms to use and integrate their technology." With the notion of manually operated vehicles being so central to our perception of time and movement, the growth of automotive technology is certain to shake up long-harbored habits and preconceptions. Driving demands a great deal of cognitive exertion: an attuned directional sense, an applied knowledge of road rules and customs and a keen awareness of changing and hazardous environments. As more advanced driverless technology potentially frees us from much of this stress and cogitation, Chapin expects fundamental changes in our attitudes and behavior. "If you can be productive in a driverless car, that might change your sense of the time, distance and friction costs of travel," Chapin said. "If your commute is one on which you can work on a conference call or read or sleep, and not really have to monitor what you're doing, it makes travel a lot less onerous, and the expectation is that people may be willing to travel much longer distances for work or leisure." Chapin is especially interested in how driverless cars may restructure our cities and public spaces. Experts predict that the advent of refined autonomous technology will also herald a reduction in the demand for vast, dedicated urban parking areas. Technologists expect that autonomous vehicles will be engineered with the ability to park themselves into smaller, more compact spaces, and some even anticipate a future where a car drops its owner off and then returns home until called upon. If intelligent driverless cars do eliminate the need for sprawling and unsightly parking lots, Chapin expects that these spaces will be salvaged for more dynamic and constructive purposes. "I'm an avowed urbanist who believes that cities are the engines of our economy, and driverless cars are a neat opportunity to reclaim some of the dead spaces in our cities," Chapin said. "There are opportunities to promote more building and more attractive spaces in our urban centers because we won't need huge surface lots to house our cars." While Chapin is bullish on the potential of driverless car technology, he acknowledged there are legitimate concerns that should be addressed. For many, the term "automation" has become synonymous with corporate cost-cutting and job loss. As autonomous vehicles continue to increase in precision, efficiency and reliability, there is a growing anxiety that driving professions will become vulnerable to displacement. "There are many industries where technology has been introduced and that has eliminated the need for human labor," Chapin said. "Between truckers, cab drivers, public transportation drivers, there's a real possibility that these kinds of jobs may be displaced." With these trepidations in mind, Chapin expects that the introduction of this technology will mirror that of similar innovations in the past: a surge of ardent first adopters followed by a more gradual acceptance by the larger public. "I suspect there will be an initial wave of users who jump on this technology and use it aggressively, but there may be a lot of people who sit on the sidelines for a while," Chapin said. "There will be groups who want to make sure that the technology is safe and useful, and once the technology proves itself, usage will really ramp up." I read a similar article about this at 4wheelonline.com blog. Ford is aim 2020 to full implement autonomous vehicle productions.